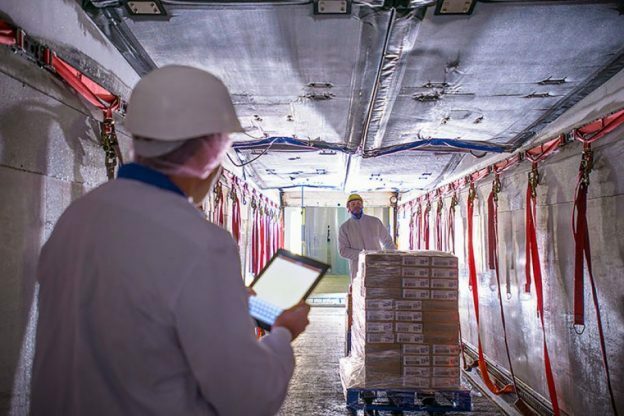 GPS Tracking Solutions For Refrigerated Fleets | Tracking Systems, Inc. Utilize the information available at your fingertips to protect your inventory. Tracking Systems’ GPS fleet management system is busy collecting data and transmitting it in real time so you are instantly alerted to any threat. Door and passenger sensors will alert you if any doors open when unauthorized. If a person is trying to steal the vehicle, a hijack switch alerts a dispatcher to disable the ignition and stop the theft from happening. Knowing where your fleet is can help you keep your drivers and vehicles safe, increase your productivity and help you improve your customer service. If a driver has broken down in a spot where cell phone service is spotty, with GPS tracking, you’ll know exactly where they are and send help their way quickly. When traffic or an accident has delayed a delivery, our real time reporting can help you make adjustments to your route so deliveries are on time. There are numerous issues that can arise on the road, luckily with our alerts being sent to you every 5 minutes; you will be able to identify a small problem before it becomes a disaster. Whether you experience a power outage or compressor failure, you don’t have to worry. Once you set your high and low-temperature thresholds you will be alerted by e-mail or via cell phone so you always know what’s going on. Tracking Systems wants to help fleet managers and the companies they work with increase their ROI. If you would like more information about Tracking Systems’ real time features, real time support and how they can benefit you, give us a call at 845-738-2200 or visit our website at www.track-sys.com.